Metacoda enjoyed being a sponsor at SAS® Global Forum 2012 and having the opportunity to meet SAS users from around the world. Thanks for dropping by our Metacoda stand and seeing how our Metacoda Security Plug-ins can help you manage your SAS platform. 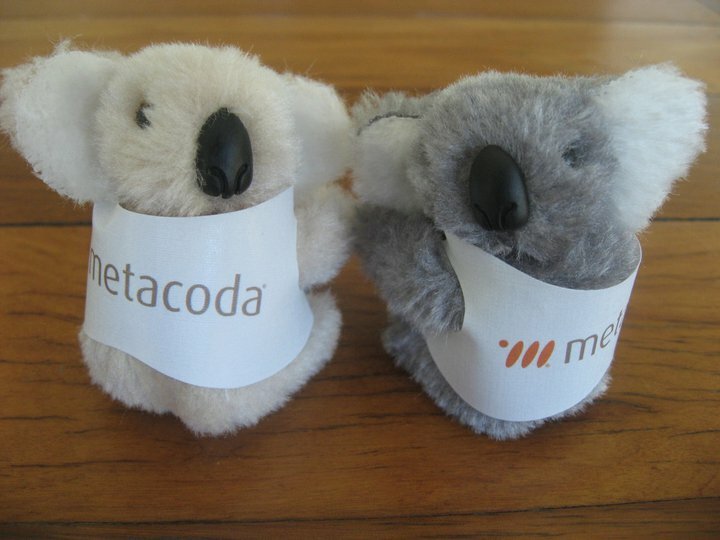 The Metacoda koalas seemed popular and they certainly enjoyed being at the SAS Global Forum as you can see on our Facebook page and YouTube video. For those people we didn’t get to see at our stand (or those that would like a refresher on what you did see) we have uploaded the rolling presentations as a YouTube playlist. Our current production releases support SAS 9.3, SAS 9.2 and SAS 9.1.3 platforms and the software demonstrated at the SAS Global Forum is our upcoming V3 release for use with SAS 9.3 and SAS 9.2. The new version will include 2 new explorers for effective permissions (Identity Permissions Explorer and Object Permissions Explorer). Please let us know if you are interested in becoming a beta tester for the V3 release. There is more information about our plug-ins here. You can also request a free 30 day evaluation to try out the software with your own metadata in your own environment. If you have any other questions feel free to send us a message. We’d love to hear from you. We look forward to seeing you again at SAS Global Forum 2013 in San Francisco. 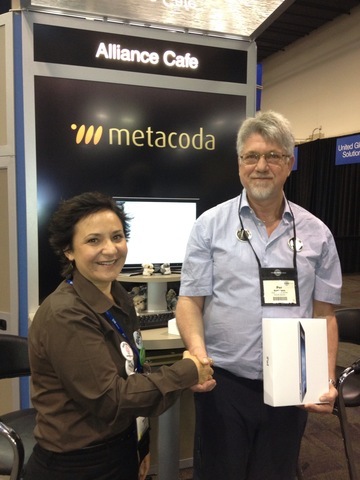 Metacoda enjoyed being a sponsor at the SAS® Global Forum 2012 (SASGF12) on the 22-25 April 2012 in Orlando, Florida. We met many SAS users who dropped by our stand to get a demonstration of our Metacoda Security Plug-ins software, collect a Metacoda koala, and enter the draw to win a new iPad. Angela Hall told us we had very cool swag and it seemed that others thought so too. We had a lot of interest at our stand and the lucky iPad winner was… Per Andersen from Denmark. Thanks to everyone who visited us and suggested others visit us too. It was great to meet you all. Hope to see you again next year at SASGF13 in San Francisco. Metacoda is pleased to welcome Real Numbers as an affiliate. Real Numbers, based in Australia, specialise in the development of Business Intelligence and Data Repository Solutions in many business areas from health, insurance, banking and education. Real Numbers provide consulting services that leverage the full potential of an organisation’s data infrastructure and information delivery systems. Metacoda Security Plug-ins can be used within the SAS® Management Console to help platform administrators who need immediate feedback about their metadata security implementations. Metacoda software helps them to be more productive, follow best practices and generate necessary documentation for security reviews, audits, governance and compliance. Metacoda looks forward to working with Real Numbers in their implementation of innovative business intelligence solutions for SAS customers. It’s almost time for SAS® Global Forum 2012 and we’re really excited about showing you what we’ve been working on! You might already know how our Metacoda Security Plug-ins software can help SAS administrators with their SAS platform security requirements and that we have versions compatible with SAS 9.3, SAS 9.2 and SAS 9.1.3. Our current releases provide quick whole-of-server views for the applied security from a number of different perspectives (ACTs, ACEs, users, groups, protected objects, roles, capabilities, logins, internal logins). The reason why we’re so excited this year is that we’ll be showing extra facilities for getting a broad view of effective permissions and access levels. Would you like to see an overview of who has the ability to view and update the contents of all of your SAS folders? Perhaps you want to see access levels for all of your libraries, or even search for related stored processes, reports, tables, cubes and see all the effective permissions? If so, then come and see us at our stand in the Alliance Cafe area of the SAS Support and Demo Area, where we’ll be showcasing 2 new tools, the Identity and Object Permissions Explorers. These are a preview of our next V3 release. 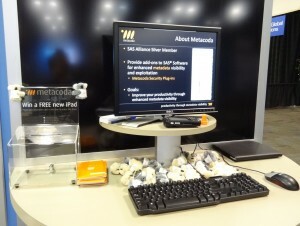 If you can’t see us in person at the SAS Global Forum, Paul Homes from Metacoda has recently posted a sneak peek on his blog at platformadmin.com. We’ve just registered Metacoda as a SAS Alliance sponsor for the SAS Global Forum 2012 in Orlando, Florida. We’re excited to see our logo already on the sponsors page. As a member of SAS Institute’s global alliance program we welcome this opportunity to meet up with fellow SAS users from around the world and share our enthusiasm for SAS software. If you’re planning to go to the forum too, please pop by and visit us at the SAS Alliance Café in the SAS Support and Demo Area. We’d love to talk to you about SAS metadata security and show you how our Metacoda Security Plug-ins can help you manage your SAS platform. See you in Florida April 2012!